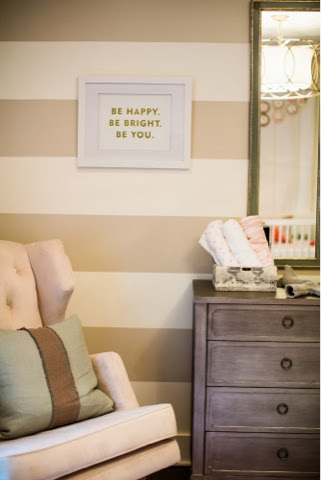 It's still a bit early for us to be decorating the nursery, but I'm having tons of fun looking at ideas! 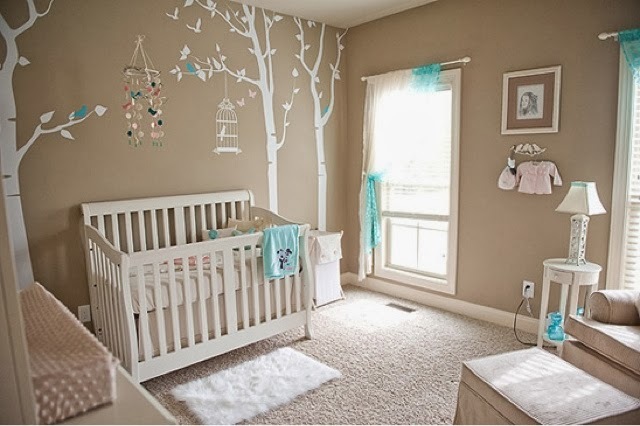 Thankfully, Tom and I have the same sort of ideas for what we would like baby J's room to be like, and I thought it would be fun to share with you a few pictures I have found that have given us a bit of inspiration. 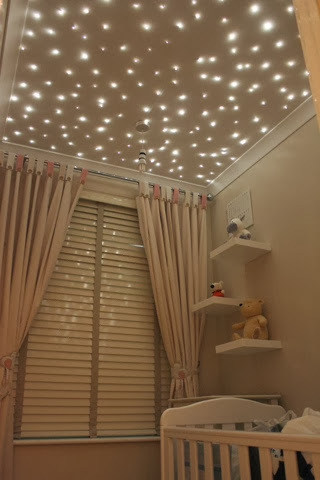 The ceiling lights are so cute! I also really like the tiered shelves. I love the added bits of colour here. As you can see we are going for neutrals and cosy lighting, which we can add bits of colour to when we find out if baby J is a he or a she! We also want a room that is lovely and warm, and feels very cosy and relaxing to be in. We have pretty much decided on furniture too - having looked in what felt like every shop possible, we fell in love with Mamas and Papas Chamberlain range. It's a bit pricier than what we were hoping, but having seen it in store the quality is great and really sturdy. 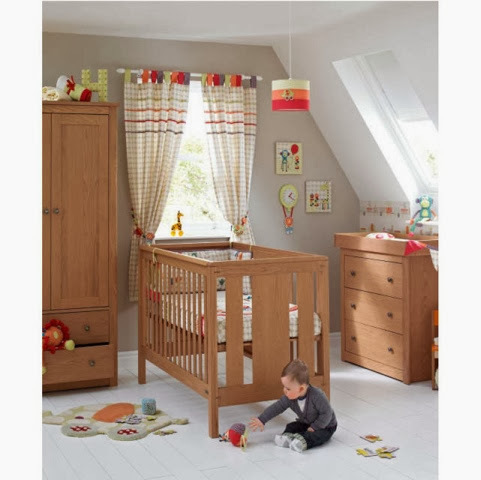 The cot bed can obviously be used for a few years, and the wardrobe and chest of drawers will be great for when he/she is older too as they have plenty of storage. Let me know what ideas you have thought of for your nurseries/what you already have (I love a good nosey!) and if there are any places you recommend for bedding, as we are still looking at that... There's so much to chose from!